I hope you all had a beautiful Mother's Day! Here's to hoping you spent the day relaxing or getting pampered and didn't think about cooking this week! 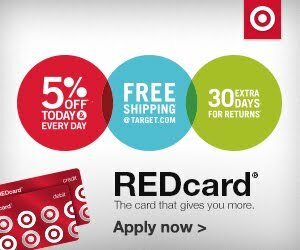 So if today you are back to reality and wondering what the heck to make this week.... we have got you covered! I love "food bowls"... the concept of layering lots of yumminess into a bowl just works for me. 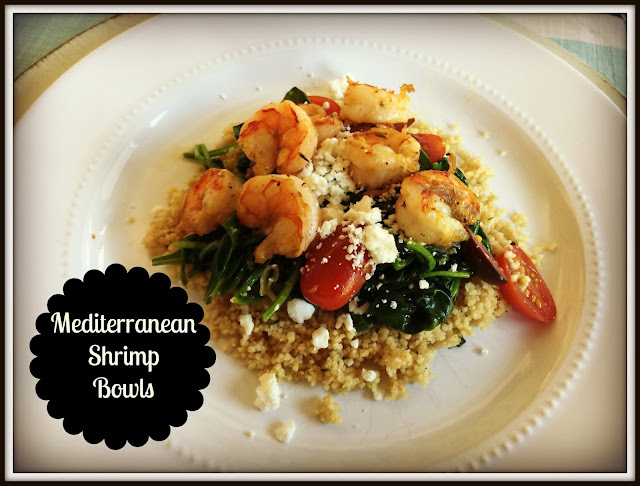 These Mediterranean Shrimp Bowls are a perfect bowl. Some flavors of summer with fresh tomatoes,and these bowls will be on repeat until the Fall. 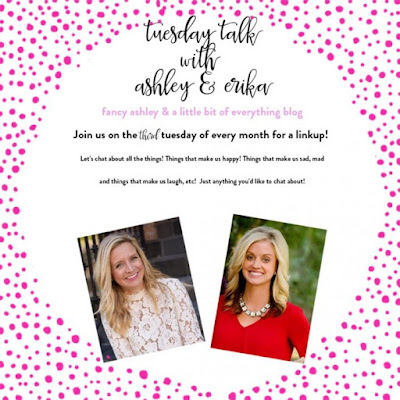 This is a busy week as the end of school nears and I am looking for easy dinners. Pulled chicken tacos are delicious, simple and cook in the crockpot all day! In a crockpot add 1lb of boneless, skinless chicken, 1 jar of your favorite salsa and 1 cup of chicken stock. Cook on high for 6-8 hours. Take of the chicken, shred it and return to the pot. Serve with all your favorite taco fixings! Breakfast for dinner! My crew loves this concept. 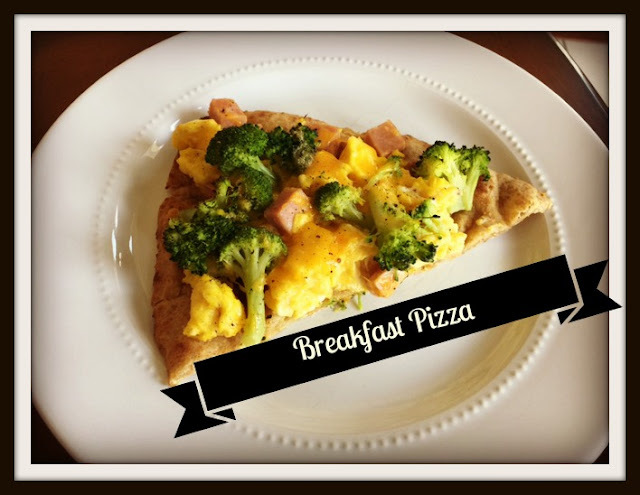 You can do pancakes, waffles, eggs, or one of our new favorites.. breakfast pizza! These can really be customized however you want. Just scramble 7 eggs and then add your "fixings" to the eggs. We love ham, spinach and broccoli. You can use sausage or bacon (both cooked), tomatoes, mushrooms.... whatever! Top some flatbreads with the egg mixture and sprinkle with a little cheese. Bake at 425 for about 5 minutes to just melt the cheese. Easy, yummy, breakfast for dinner! I told you I needed an easy week... so one more crockpot meal it is! 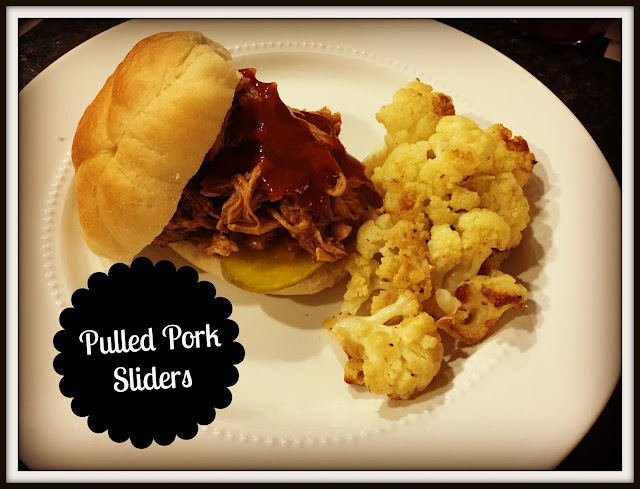 These pulled pork sliders cook all day, so dinner is nearly done when you walk in. Just adds some vegetables on the side and you are all set! Something about burgers on Friday nights in the Summer just seems right. These BBQ Chicken Burgers are so full of flavor, we will be seeing these on the menu a few more times this summer! Season 1 1/4lb of ground chicken with 1TSP salt & 1/2TSP pepper and add 2 finely chopped scallions. Form into 4 patties and grill over medium heat for about 6 minutes per side. While the burgers are cooking, saute sliced red onion with some EVOO. When the burgers are just about done, layer a slice of smoked gouda cheese and cooked until just melted. 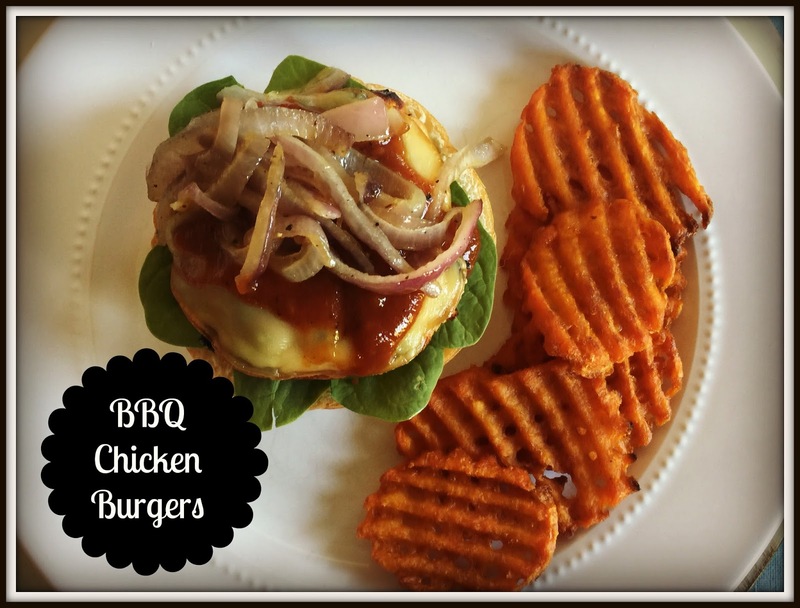 Layer the bun with some fresh spinach, the burger, onions and your favorite BBQ.